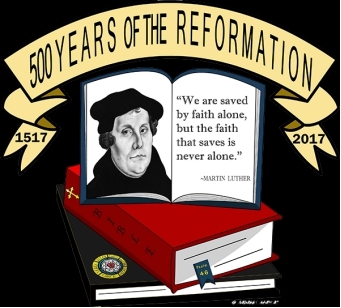 The Protestant Reformation was the 16th-century religious, political, intellectual and cultural upheaval that arose in Europe, which redefined Christianity . The start of Protestant Reformation was not a planned procedure. It all started with a theologians attempt to discuss some beliefs and practices of the Roman Catholic Church by the publication of Martin Luther’s “95 Theses” in 1517 , 500 years ago. 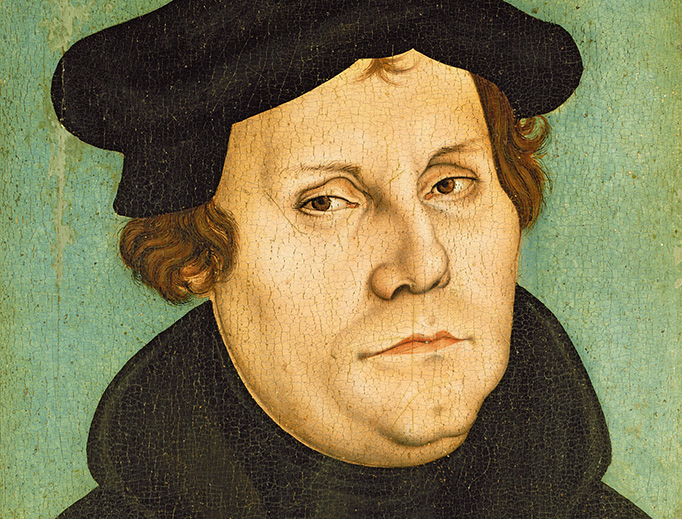 Martin Luther (1483-1546) was an Augustinian monk and university lecturer in Wittenberg when he composed his “95 Theses,” which protested the pope’s sale of indulgences. Although he himself only wanted a reformation within the church, the challenge was taken seriously by the Papacy as a challenge on its authority. Luther was forced into the revolution and he led it with courage. There was no going back possible. “Here I stand, God help me” was his cry. He was excommunicated in 1521 in the Diet of Worms. Sheltered by Friedrich, elector of Saxony, Luther translated the Bible into German and a real intellectual, cultural and political war broke out and spread like wild fire all over Europe.and even beyond it . Its ending can be placed anywhere from the 1555 Peace of Augsburg, which allowed for the coexistence of Catholicism and Lutheranism in Germany, to the 1648 Treaty of Westphalia, which ended the Thirty Years’ War. It was all made possible by the invention of the printing press and its power of mass communication.. When German peasants, inspired in part by Luther’s empowering “priesthood of all believers,” revolted in 1524, Luther sided with Germany’s princes ordering a massacre of over 1000,000 rebelling peasants based on his “Doctrine of Two Kingdoms”. He also developed strong anti-semiticism based on his “Dopctrine of Spercessionalism.” which became the heritage of the Nazism. By the Reformation’s end, Lutheranism had become the state religion throughout much of Germany, Scandinavia and the Baltics.